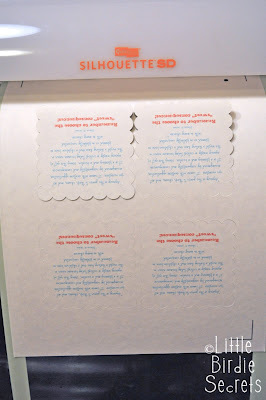 In case you missed our guest post in conjunction with the Holiday Craft Along, here's the full post. 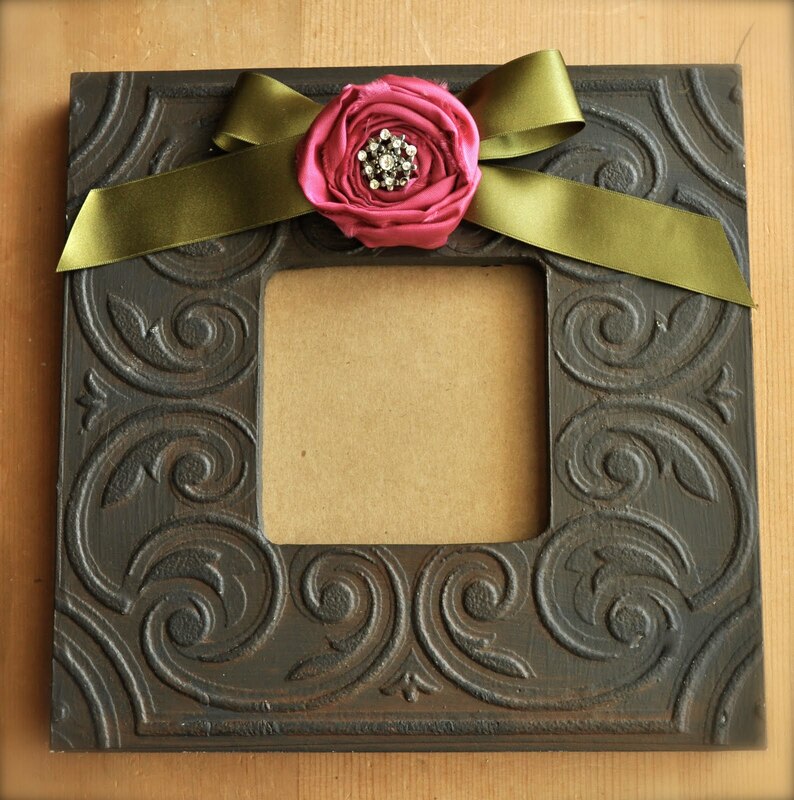 And don't miss this beautiful frame, for sale now under the "Buy Handmade" link at the top of the page! Enjoy! 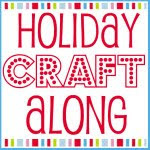 We're so happy to be a part of the Handmade Holiday Craft-A-Long, mostly because we're in such good company! And also because I'm probably the biggest procrastinator in America, so I love the thought of getting a jump start on holiday gifts. 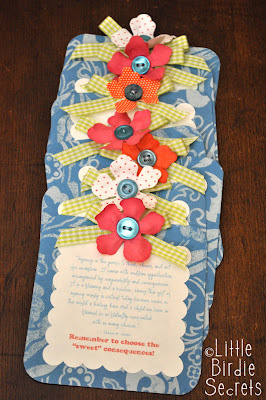 This craft is quick and easy (it took me about 5 minutes), and will work for almost anyone on your Christmas gift list! 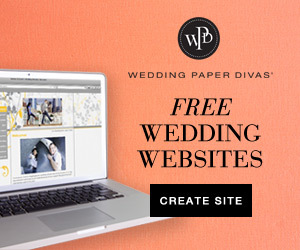 (I'm thinking my husband would be less-than-thrilled with this--pretty sure I'm not alone on that one.) But think sisters, moms, friends, neighbors, and you've pretty much got the girly gifts covered! 1. Start by tying a knot in your ribbon, leaving some length on either end. Then tie a nice bow. Cut off tails at an angle. 2. 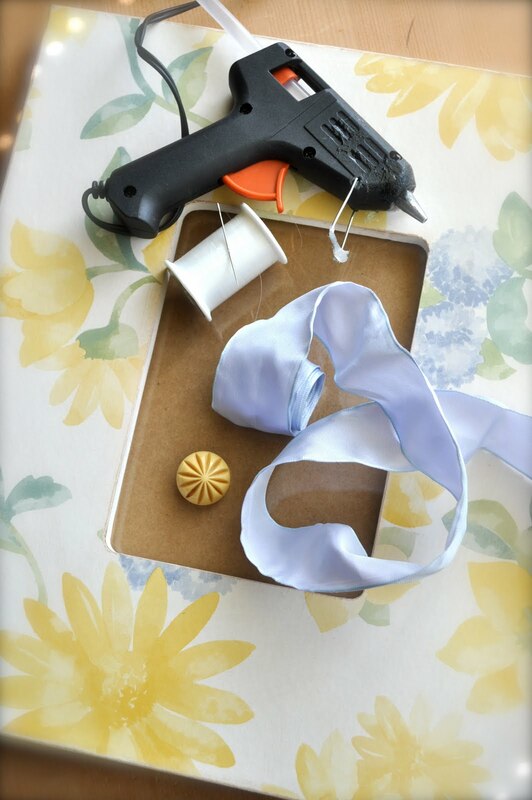 If you're using a ribbon stiffener, spray your bow now and arrange the tails how you want them. Allow to dry according to stiffener's instructions. 3. Take your button and hand sew it on top of the center knot of your bow. 4. Apply a little hot glue on the back of the knot. 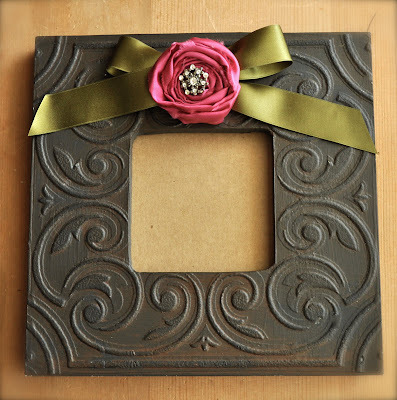 Quickly place it on your frame. I centered mine along the top, but get creative! It might be cute off-centered or at the bottom. Here's another example using a fabric rosette for the center of the bow (instead of a button). Pretty gorgeous, huh? The most beautiful part is how easy they are. Merry Christmas! When it's hot outside I love to have a cool treat. 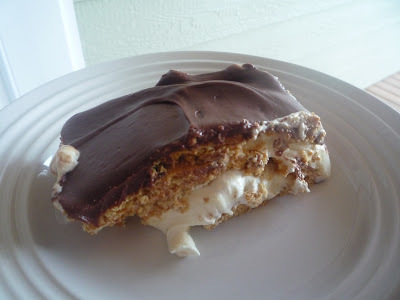 This Eclair dessert always hits the spot. Mmm, good thing it's hot today! --Stir pudding mix and milk together and let set for 5 minutes. Fold in cool whip. In a 9 x 13 pan layer graham crackers (I usually break some to get them to fit right). Then layer on 1/2 of the pudding mixture. Layer twice more and then spread frosting all over the top. Let set overnight or at least 3 hours. This video originally appeared on the Lasting Memories store web site when I worked there. Now that the store is closed, I figured we needed it here for future reference! 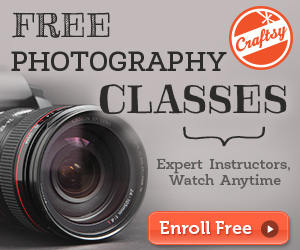 Enjoy the video, or scroll down for the step-by-step tutorial. 1. Lay out your stack of sheets and start folding accordion-style. 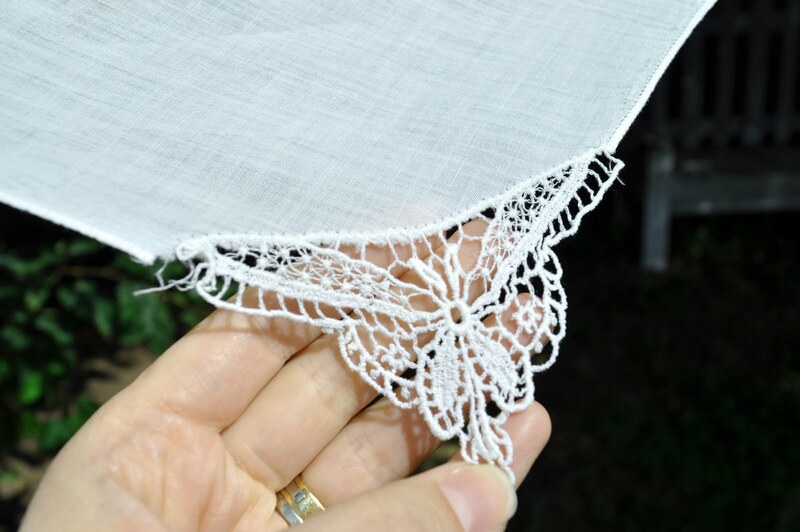 Fold the entire length of your sheets, like a fan. The width of your folds will change the look a little, so experiment. Our folds were about 1" wide for the mini puffs. 2. Using scissors, round the two short ends of your folded sheets. Or, try cutting a sharp point or inverted v-shape for a different look. 3. Tie your fishing line around the center of your fan tightly. Leave a long end if you want to hang your puff. 4. Start "puffing" your flower by separating your tissue sheets. 5. Continue until your flower is nice and round. 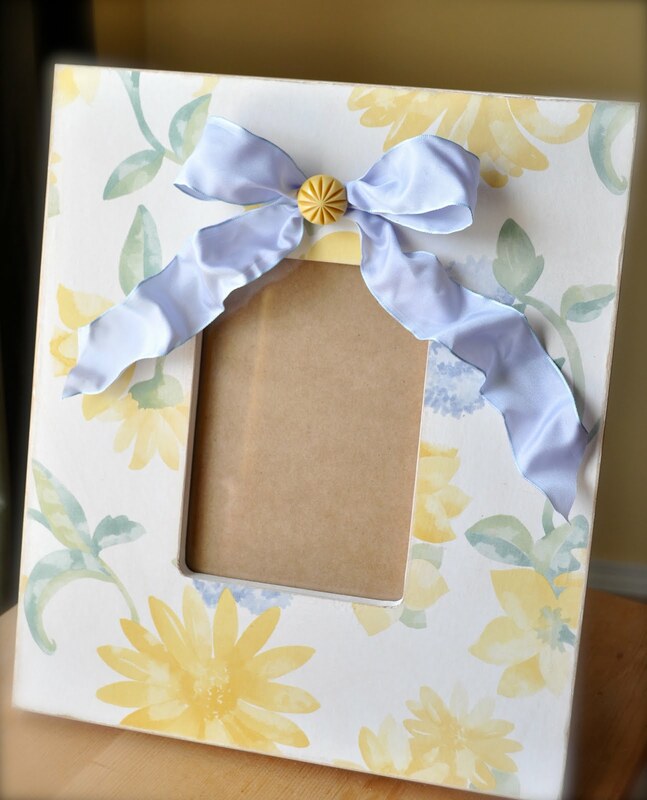 Leave one side flat if you want to use it to top a gift. 6. 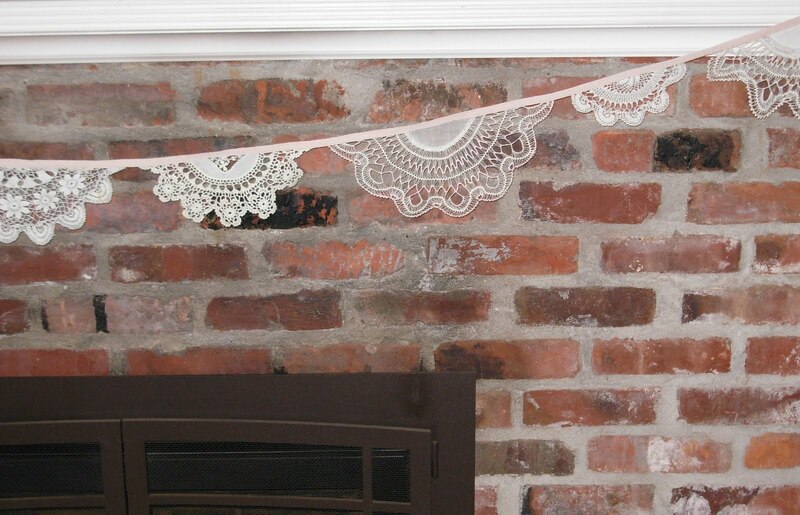 Another great idea--string a series of puff ball flowers into a cute garland! I simply stapled my puffs onto a piece of ribbon. Easy peasy! 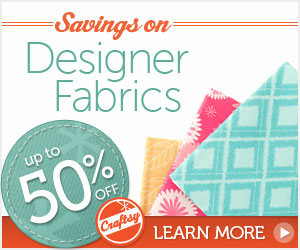 You can make these in bigger sizes--just start with bigger pieces of tissue paper. 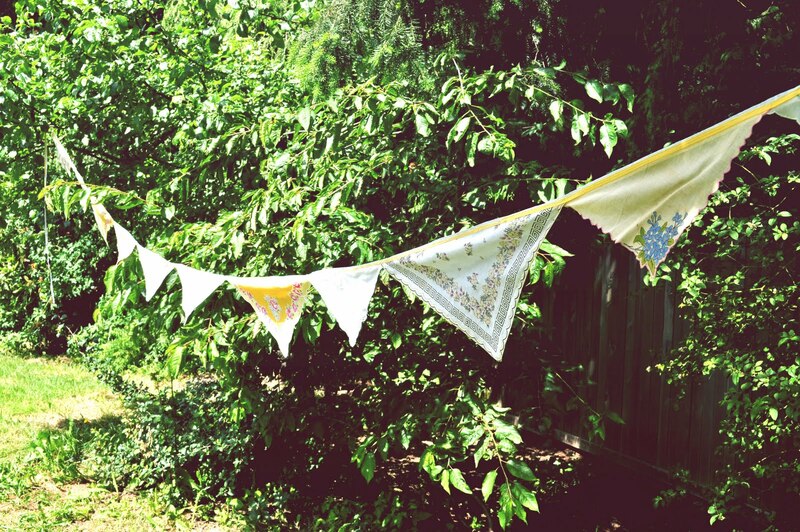 These are gorgeous for baby showers, wedding showers, birthday parties, and more! I had no idea what an uproar I was causing by asking our feed readers to click on a link! I'm so sorry! When I made a tiny change to our blog feed last night at about 2:00am, it was actually more of an experiment. 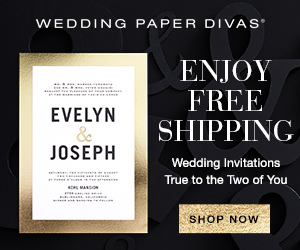 We want to provide e-mail subscriptions to our blog, but we are discouraged at the prospect of losing actual visits to the site, as this is the only way we can afford to continue creating (blame our husbands--for some reason they don't think we should be going into debt to create great content!). If you want to offer a short summary in your e-mail subscriptions, it changes the feed to summary, too. Within minutes we had comments on this post saying "please change it back!" (Guess I'm not the only night owl around!) But if it's going to make you all mad at us, I'll change it back! Just promise that if you do see a project you like that you'll click on over and leave us a comment. We get lonely sometimes! Thanks to Jennie and all the others who voiced their opinions. 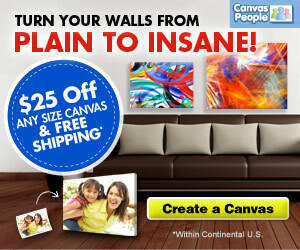 We want you to continue enjoying our site in whatever way is most convenient for you. We love you all, no matter how you join us! Congrats! We have passed your email onto the sponsor and she should be contacting you. 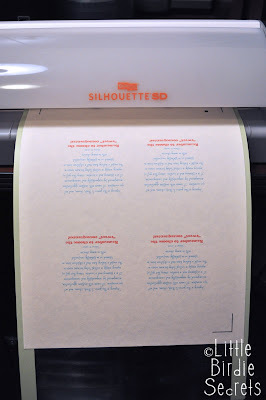 how to use silhouette's print and cut and where's our winner? I'll fully admit that I am a slow crafter. But that doesn't mean I don't try to save time. In fact, I often spend hours and hours trying to figure out a quick or easy way to do something. It's a problem, I know. 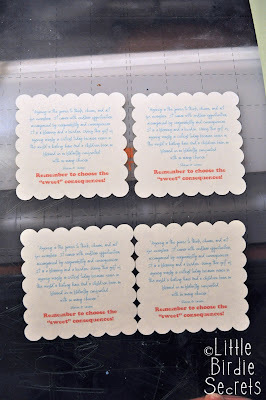 I did, however, find a quicker way to create my weekly handouts for my Sunday church class using the Silhouette. It's called" print and cut," and it has changed my life. First I created the text for my handout in Photoshop (with four on a sheet). I saved it as a JPEG file and opened it in my Silhouette ROBO Master software. Next I selected my shape (a scalloped square) and sized it perfectly around my text. I copied and pasted it around each text box. Then I told the software to print it to my computer. 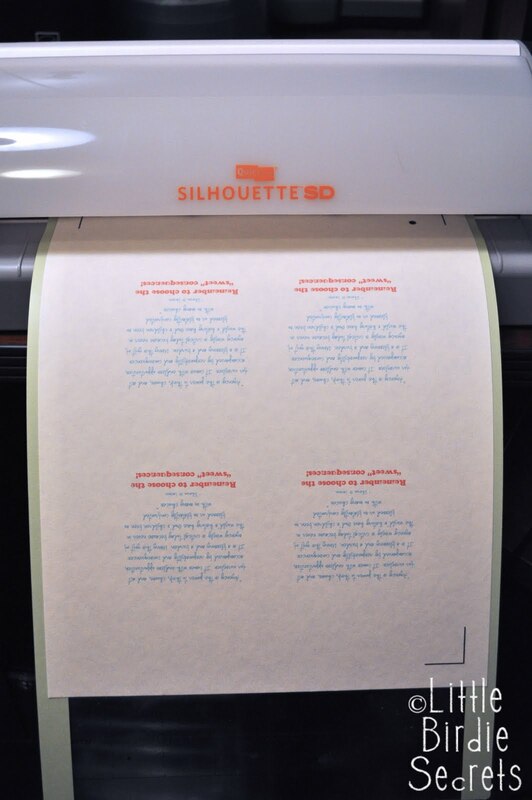 It prints the text or picture, but not the shape it's going to cut. 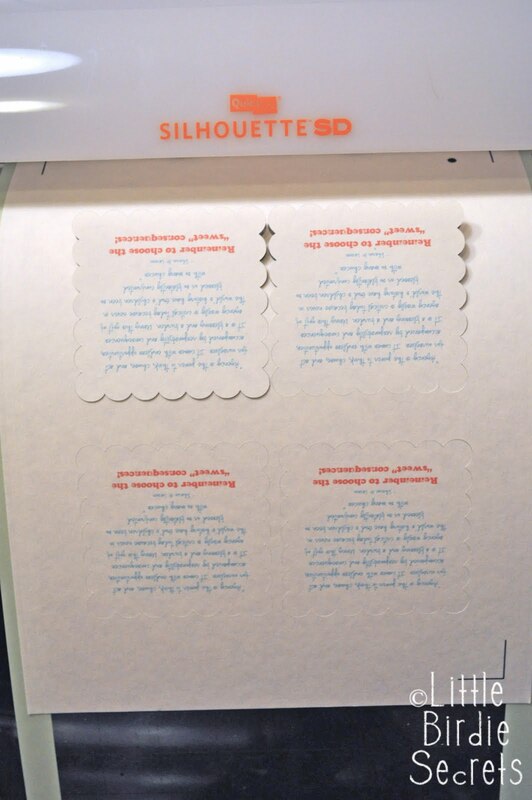 It also prints little registration marks on the corners so the Silhouette knows where to cut. Then I fed it into my Silhouette and told it to cut. Perfect little scalloped squares with text perfectly centered. So cute! Of course, not quite perfect. Yet. I had to add a little patterned paper, ribbon, flowers, and buttons. Because I'm certifiably crazy like that. Next item of business: Where the heck is our Silhouette giveaway winner?! Are you out there Bryana Banana? Who knows, maybe she's on vacation on a remote island with no WiFi. Either way, we're going to give her until Saturday to contact us, and if we haven't heard from her, guess what? You may still have a chance to be our lucky winner! We'll go back through our spreadsheet with the comments from our original giveaway post and pick a new winner. Stay tuned! Today is a great day because we get to hear from my sweet friend Bethany. 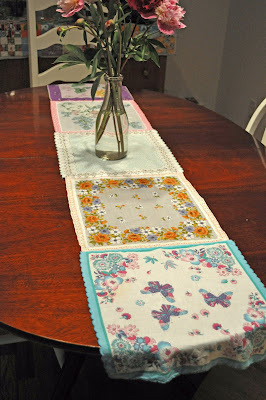 She's at it again with some great ways to re-purpose beautiful vintage handkerchiefs and doilies. Yea for us! 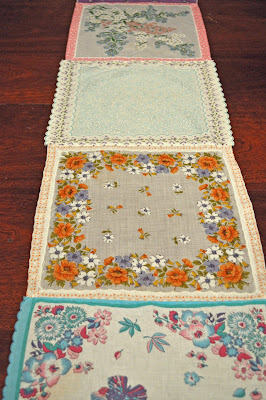 For the first project, a Hanky Table Runner, I simply choose five of my favorite hankies that were about the same size. 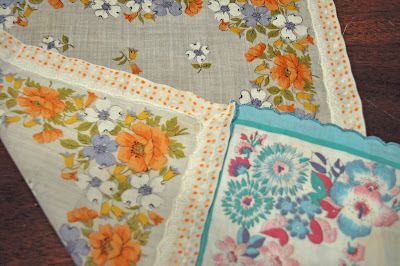 I used hankies that were approximately 13.5" square. I ironed each hanky to make sure the edges were nice & flat, layed them out in the order I liked and then, using a 1/4" seam, simply sewed them edge to edge. I pressed the seams flat & voila! A pretty little table runner was born. 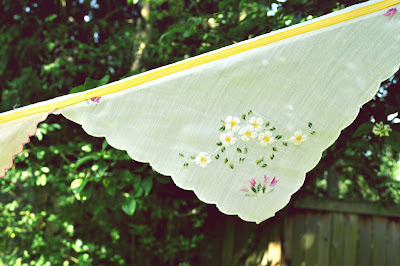 Can't you just see this used on a table for a garden party or bridal shower? 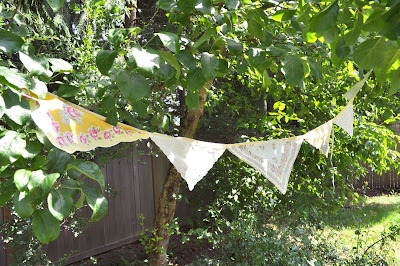 The next two projects, I made hanky buntings. Using my rotary cutter, quilting ruler & mat, I simply cut various hankies in half. Using a zig zag stitch on my sewing machine & some white bias tape, I sewed each half of hanky along the bias tape. For the second bunting, I cut various yellow & white hankies on the diagonal & stitched those to a length of yellow seam binding. 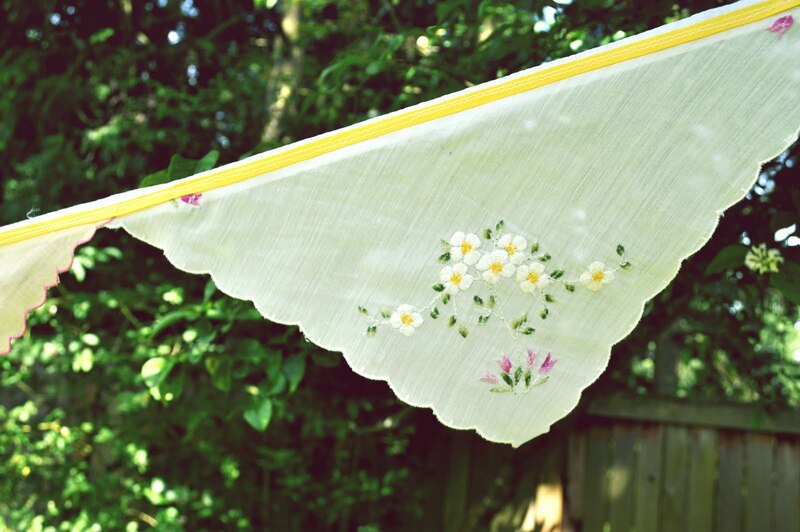 These just shout summer tea party to me & wouldn't they look so pretty waving in a gentle breeze? Since I was in bunting mode, I also made one by cutting doilies in half and sewing those to a heavy twill tape, again with zig zag stitch. 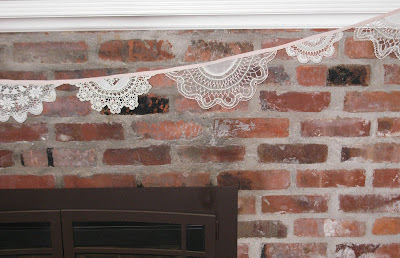 I so appreciate the handiwork of vintage doilies & again, had a stash from Grandma's treasures that I wasn't sure what to do with - since doilies on the end tables aren't exactly my decorating style! 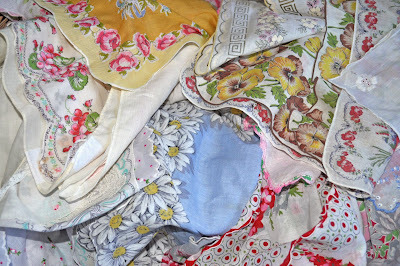 I love how this gives me a little more modern way of displaying these beautiful vintage textiles. And her winning page submission to Citrus Tree Studio's Sketch Challenge using the Thrift Shop line from October Afternoon (one of my all-time fave lines!). Just in case you feel like you wish you could try your hand at more giveaways, we have another one to throw at ya! Recently Flirty Aprons sent me an adorable apron for review. I had to know what they were like before we offer you one, right? It arrived in my mailbox, I ripped open the package and much to my delight there was a fabulous red flirty apron inside. Don't you just love it? I sure do! The fabric is so great and I love all the feminine details on it. I mean, the bows on the pockets? 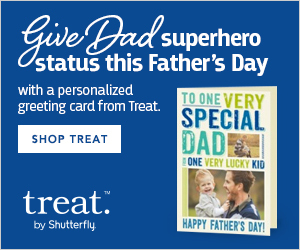 What a great touch! It makes me feel very cute while I cook! I love the ease of throwing this apron on as well, with the very long ties I am able to tie it in the front so I can see what I am doing. It is a really great apron and I will be wearing it for years to come. Although it is so cute, I almost don't want to get it dirty! Lucky for you, Flirty Aprons is offering a giveaway to our readers. 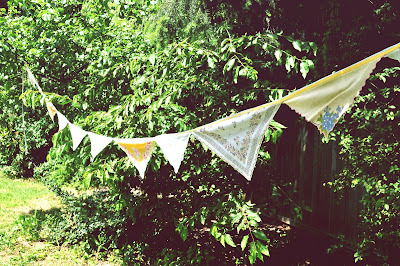 One of you has a chance to win an apron from their scalloped line. 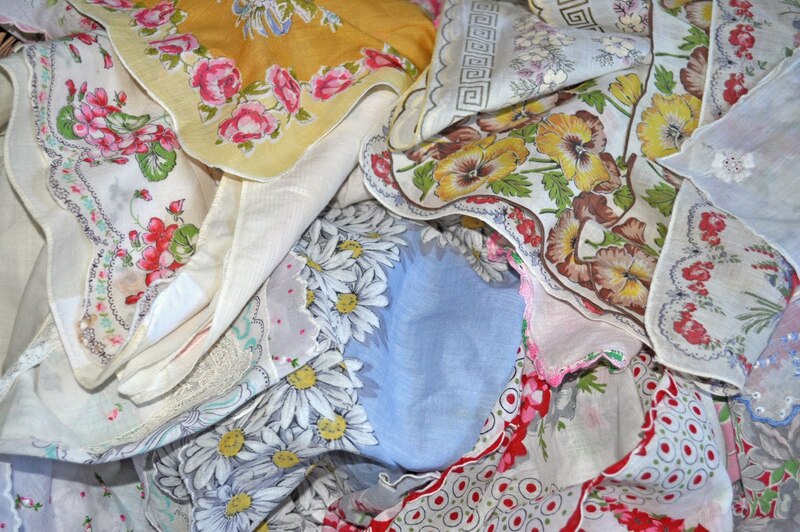 You can pick whichever one you like best as long as it is from the scalloped line. All you have to do is visit Flirty Aprons and find your favorite, then come back and tell us which you would choose if you win. 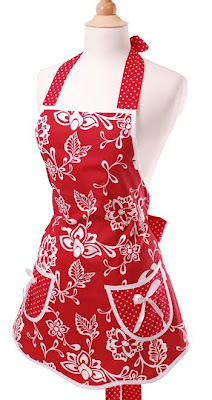 For additional entries you can follow Flirty Aprons on facebook or us on facebook! The giveaway will end Sunday, August 1st at 11:59 pm PDT. 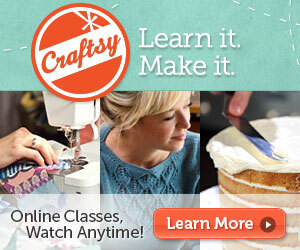 We're so excited to be a part of the Holiday Bake, Craft, and Sew Along with some of our favorite bloggers. And today's our big day! Make sure you head on over to According to Kelly to see how to make a ribbon-embellished picture frame by us, the Little Birdies. 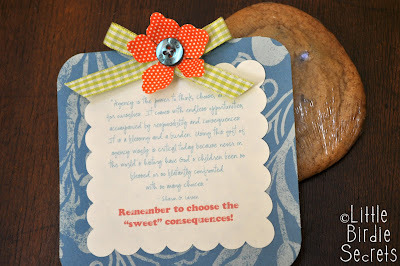 And check out the other holiday gift/craft ideas being posted daily! You could start NOW and be waaaay ahead for the holiday gift-giving season. You're welcome. Something about summer screams fresh veggies to me. 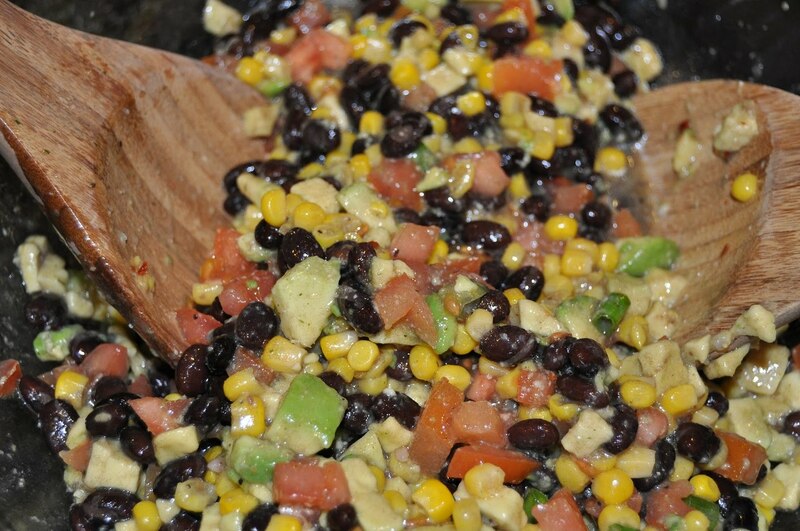 Fresh salads, corn on the cob and salsa to name a few. My friend, Amanda gave me this recipe after she made it for a 4th of July BBQ last year and I can never get enough of it. 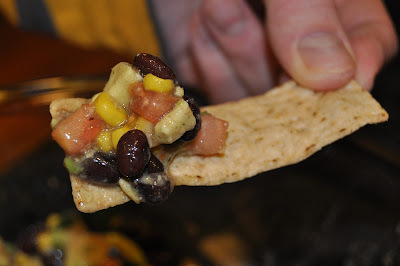 She calls it veggie salsa, but when another friend called it cowboy caviar, that stuck for me. I know there are many versions of this out there, but I love this one. In a large bowl mix corn, peas, tomatoes, avocados and onions. In another bowl mix the dry Italian dressing, olive oil, vinegar and water. Pour the dressing over the vegetable mixture and toss until evenly coated. Serve with tortilla chips. It's giveaway time! 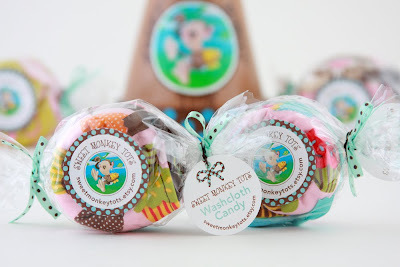 We have a great giveaway brought to you by Sweet Monkey Tots. 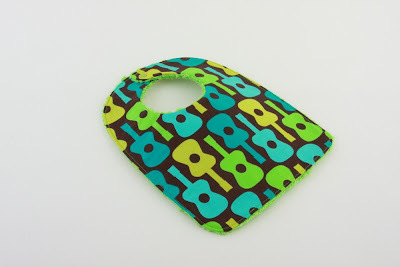 It is a great etsy shop that offers boutique bibs, burp cloths, and more for special tots. 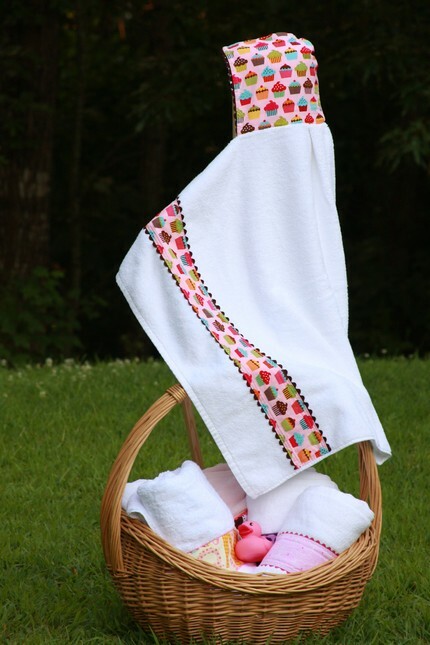 There are so many items in this shop that make for fabulous baby shower gifts and even birthday gifts. Go take a look at Sweet Monkey Tots. There are wonderful fabric choices in this shop. 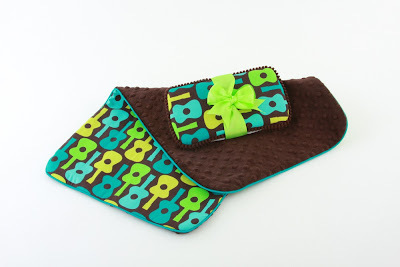 I have three boys so of course I was drawn to these guitar items. Love them! 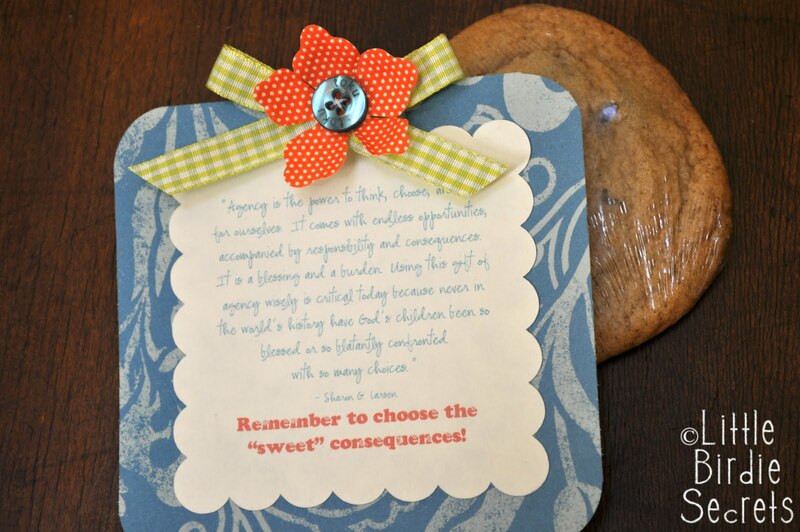 And all the cupcake items are just so sweet! 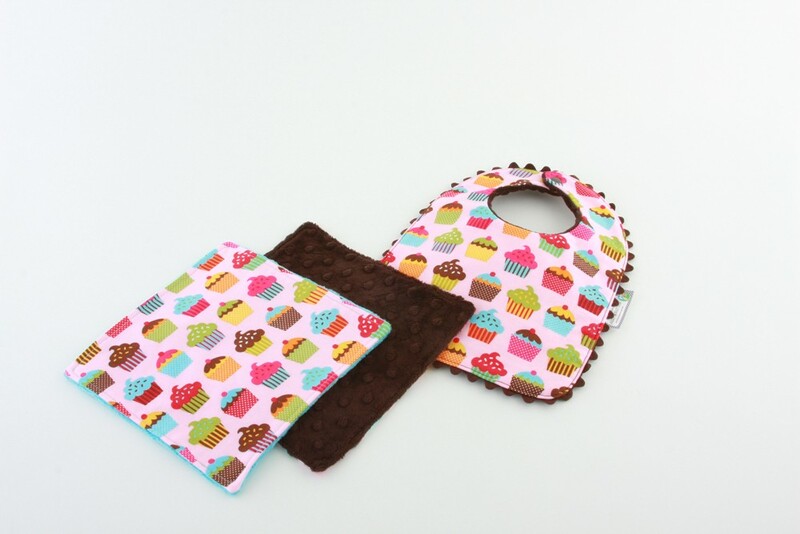 Sweet Monkey Tots is offering one of our readers a chance to win a Boutique Hooded towel in Robert Kaufman cupcakes and the bib and washcloth candies set to go with it! How fabulous! These items are made to order so once you win, Stephanie will begin making your items. All you have to do is visit Sweet Monkey Tots and find your favorite item. Then come back here and tell us what it is. The giveaway will close on Tuesday, July 27th at 11:59 pm PDT. 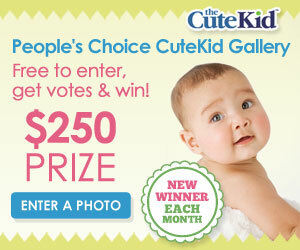 Also, for the week of this giveaway Sweet Monkey Tots is offering our readers a special discount! If you order from the shop and put the code 15%OFF in the message to seller box at checkout, you will be refunded the 15% through paypal after purchase (this discount does not apply to shipping costs). Sweet!